The venue, built by Irwin Chanin, originally opened as Chanin's 46th Street Theatre in 1925. It has been operated by a number of different owners over the course of its history. The Shuberts purchased the theatre in 1932, renaming it simply the 46th Street Theatre. Robert W. Dowling took over in 1945, then producer Lester Osterman took the reigns in 1960 and producers Stephen R. Friedman and Irwin Meyer in 1978. 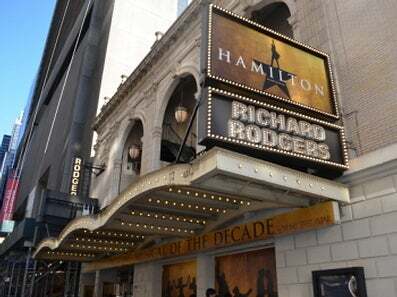 Finally, the Nederlander Organization purchased and renovated the theatre in 1981, re-christening it in honour of the American composer Richard Rodgers in 1990.